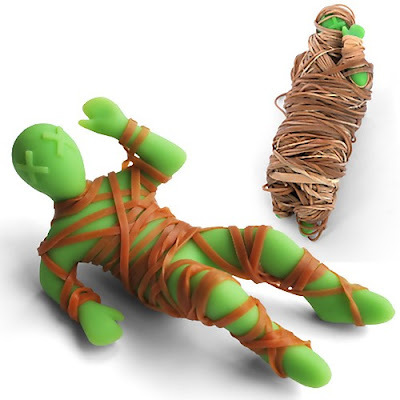 Collection of "Cool Holders and Unique Holders" from all over the world. 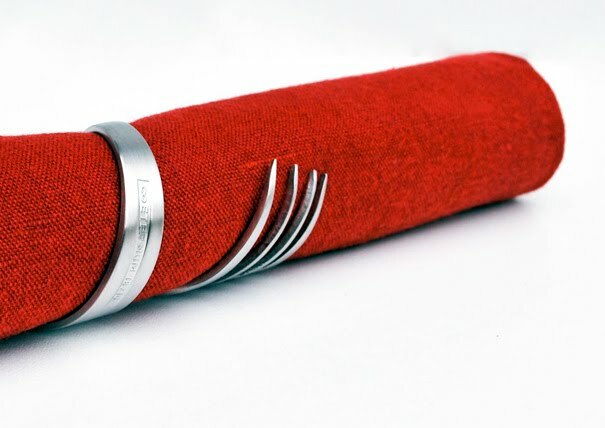 Fork Napkins Holder: Designer Tim Baute made this unique napkins holder out of a fork. 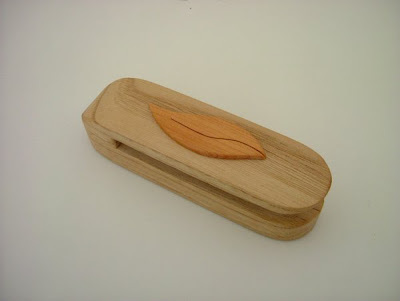 Wooden Tea Towel Holder: Place the edge of a tea towel in and slide upwards, the towel is held in place firmly. Power Cord Toothbrush Holder: This is one of the few things that have ever impressed us! 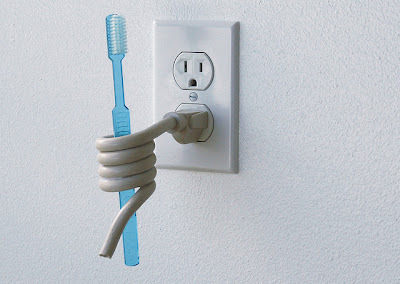 A creative way to use a power cord to hold a toothbrush. 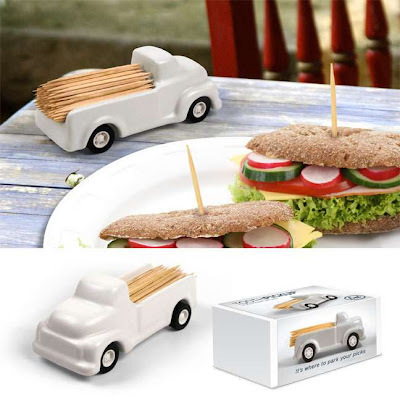 Toothpickup Toothpick Holder: The 4.5" long by 2" wide little porcelain truck travels on 4 rubber tires across the dining table. 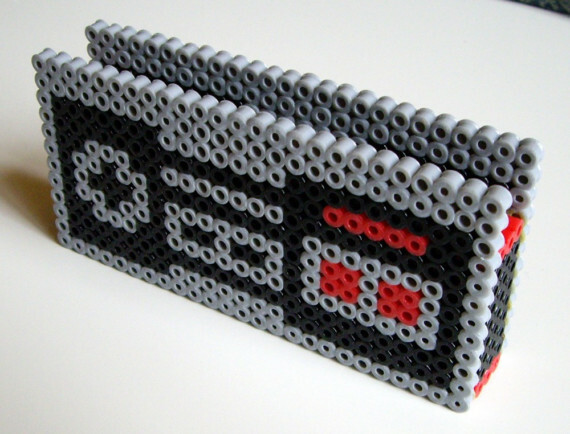 Nintendo Bead Business Cards Holder: This business cards holder looks like a controller, from the original Nintendo. 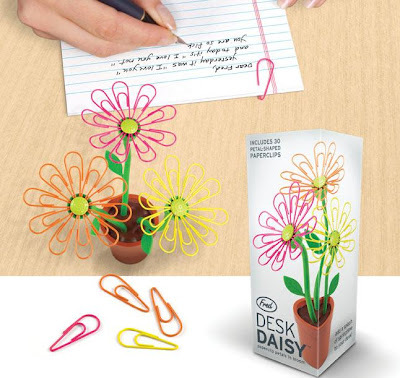 It's a functional, stylish and retro art for your desk. 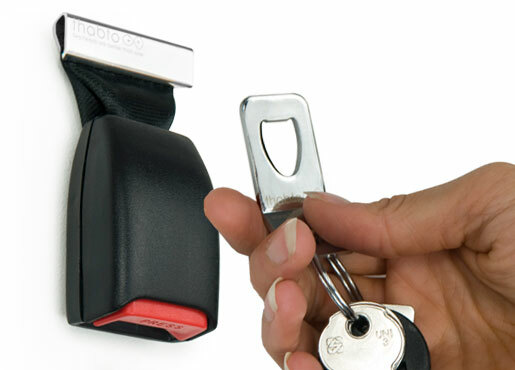 StringFix Holder: This holder is a creative and practical way to keep all your essential items close at hand. Desk Daisy Paperclip Clips and Holder: The petals are colorful paper clips that hold on to the magnets in the center of each flower. Rubber Band Holder: An unusual way to build your collection of rubber bands with this cool rubber band holder. 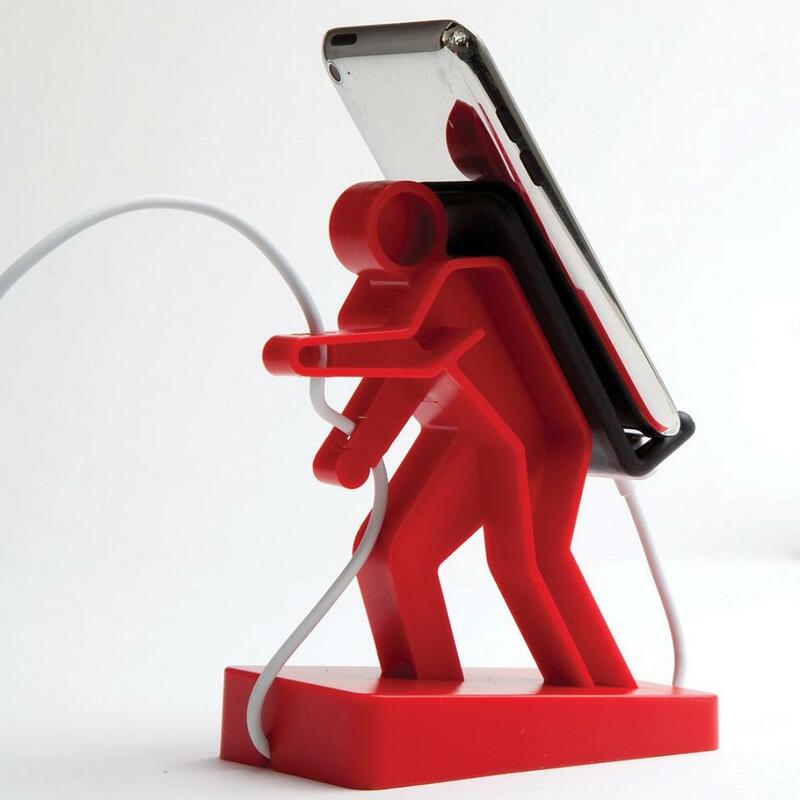 Boris Phone Holder: Designed to look like a hiker, it will hold your mobile phone on his back and the cable in his hands and through the base to keep it neat and tidy. Buckle Up Key Holder: This wall fixable key holder is made from used car seat belt buckles. 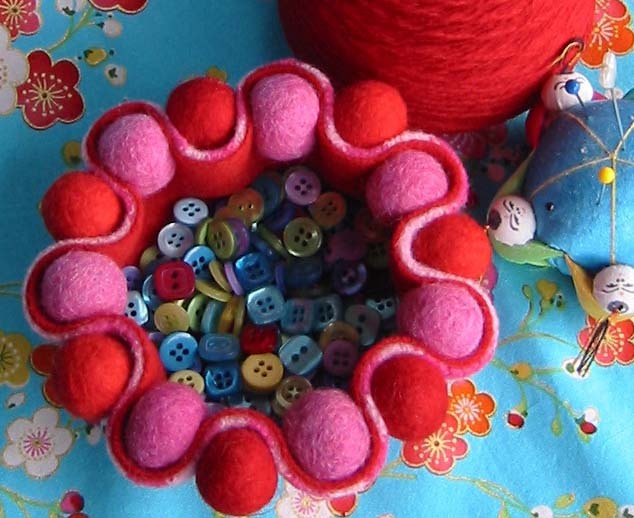 Button Holder: To make this cool looking button holder, just follow the tutorial - link. Candle Holders: Just glue the candles in place or make your own candle by adding wax. 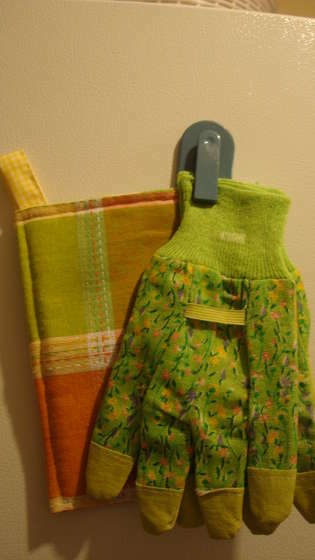 Potholder: The beauty of this project is that it does not require a pattern, hemming or turning; the towel is the pattern. Magazine Holder: An elegantly styled and uniquely functional design that holds a maximum of up to 20 magazines. 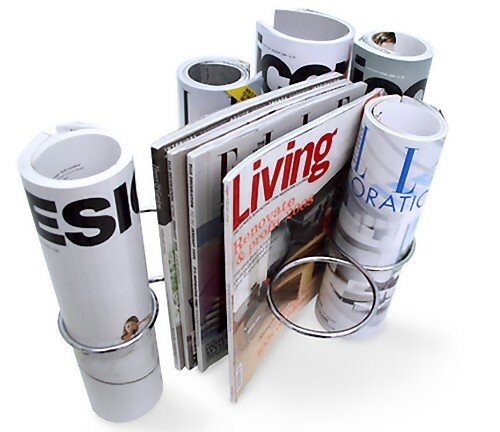 You need to place at least 3 magazines within the rings to hold it afloat then start to use the enclosed section to hold many more chosen magazines. Don't miss to check out " - Part: 1| 2." 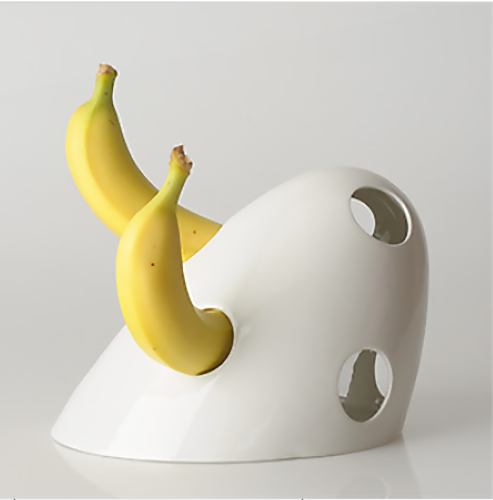 Tea Bags And Tea Bag Holders.